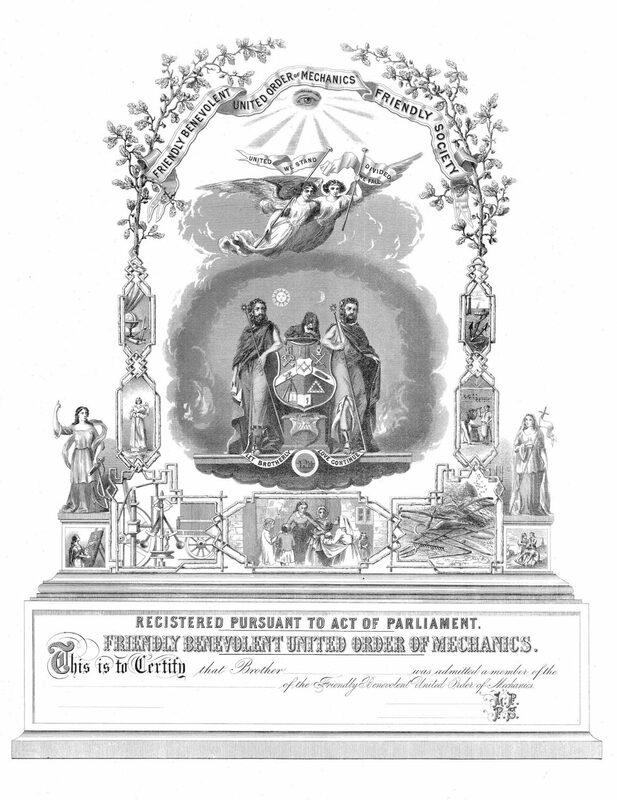 In 1852, the Coniston Mechanics Institute and Literary Society was established to promote lifelong learning and continuing personal development for the working people of Coniston. At that time, the local population was around 1,300, with some 600 employed in the copper mines. Without their own building, classes such as woodcarving and lectures on topics such as geology, art and local history would take place in the village school in St Andrews churchyard. In 19th Century Britain there were well over 700 Mechanics Institutes. They were created by industrialists and philanthropists to educate the emerging industrial society in the new technologies of the age. Whilst on one hand they were clearly instrumental, to create a more productive, healthy and enterprising nation of workers, they were also altruistic, offering a broader education in the arts and place for social gatherings – albeit to steer them away from the public house. Subsequently the Institutes became the seedbed for social reorganisation, democracy, women’s rights, co-operatives, friendly societies and unionisation. By 1850 and the Libraries Act, many Institutes became public libraries or universities (Manchester, Leeds and London to name a few). In 1872 the artist and social reformer John Ruskin came to live at Brantwood on the East shore of the lake and quickly recognised the importance of Coniston Mechanics’ Institute. Two years later he was elected an honorary member and vice president. That same year the Mechanics’ Institute was made homeless when the old school building was demolished. Ruskin spear-headed the drive to construct new premises, energetically raising funds, through personal donation and sales of his own works. With the death of John Ruskin at 3.30pm on 20 January 1900 the Institute lost its most eminent and influential patron. Later in the year, as a result of a revival of interest in Ruskin, the Reading Room was refurbished as a museum to better display the collections of minerals and other Ruskin exhibits and objects of local interest. In the summer of 1900, W.G. Collingwood, appalled by Ruskin’s heirs’ failure to abide by his will, curated an important memorial exhibition of Ruskin’s letters, books, manuscripts and over 200 drawings and watercolours; it was the most comprehensive collection of Ruskiniana ever presented to the public. For their safety and longevity, these collections were rehoused in the new Ruskin Museum extension in 1999. In January 1878 Coniston Mechanics’ Institute’s new premises were opened on this site. These comprised an assembly room (now the Reading Room and kitchen) with a smaller adjoining reading room and library (now the public library). In November 1895 the title was changed to ” The Coniston Institute” and about the same time W.G. Collingwood, Ruskin’s secretary and a noted artist, antiquarian and local historian, became an active committee member, leading a new drive to expand the Institute. In the next year Collingwood arranged an exhibition and sale of pictures by local artists which raised £500, eventually leading to the foundation of The Lake Artists’ Society in 1904. On 15 April 1898 the large new multi-purpose Assembly Room was opened by Mrs Arthur Severn, Ruskin’s cousin, who lived at Brantwood. The extensions included a public bath, a house for a resident care-taker, a first floor Billiard Room and Men’s Smoking Room along with a large assembly hall. Under Ruskin’s influence and direction the Institute amassed a collection of paintings, artefacts and books to provide a comprehensive educational resource for the village, whilst classes were established in woodcarving, copper repousse work and lace making – later to become the well known Ruskin Linen industry. There has been a Ruskin Museum in Coniston since 1901, when W.G. Collingwood, a local artist and antiquarian who had been Ruskin’s secretary, set it up both as a memorial to Ruskin and a celebration of the area’s heritage. Therefore, although the museum has a Ruskin collection, there are also exhibits relating to the coppermines, slate, geology, lace, farming and Donald Campbell. 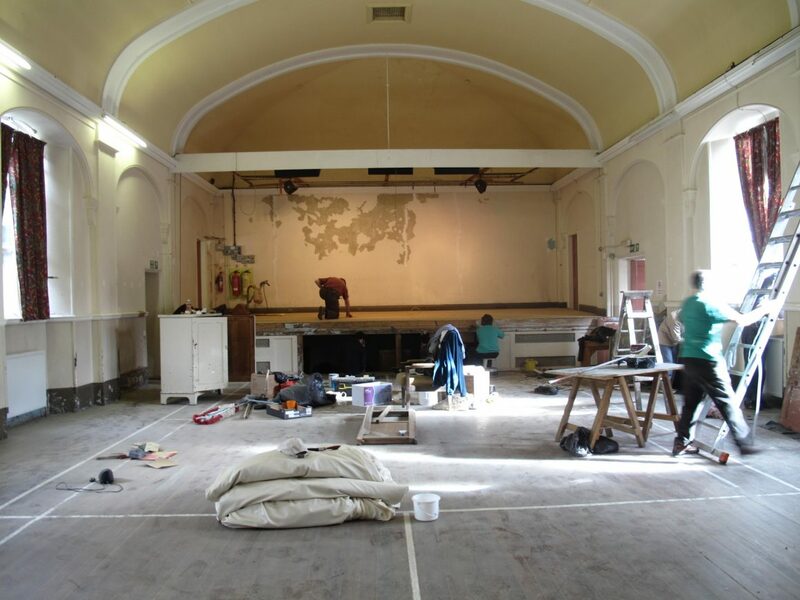 Since 2011 Grizedale Arts has been working on the grand renovation and development of the local village hall in Coniston. The renovation undertaken by Grizedale Arts and a stalwart group of village volunteers has included the restoration and repainting of the main hall and stage, the installation of an all new kitchen, a new self-service library designed by Liam Gillick, and an honesty shop designed by An Endless Supply, selling produce from the village, Lawson Park and the institute’s various groups, as well as a separate reading room for small meetings, presentations and recreational amusements.